Blow up the balloons to different sizes. String the sewing needle through the fishing line and tie a knot. Start threading the needle through the balloon tie-offs, alternating balloon colors and sizes. Arrange balloons pointing up and down and outward, and use your LOW TEMP glue gun to secure them. 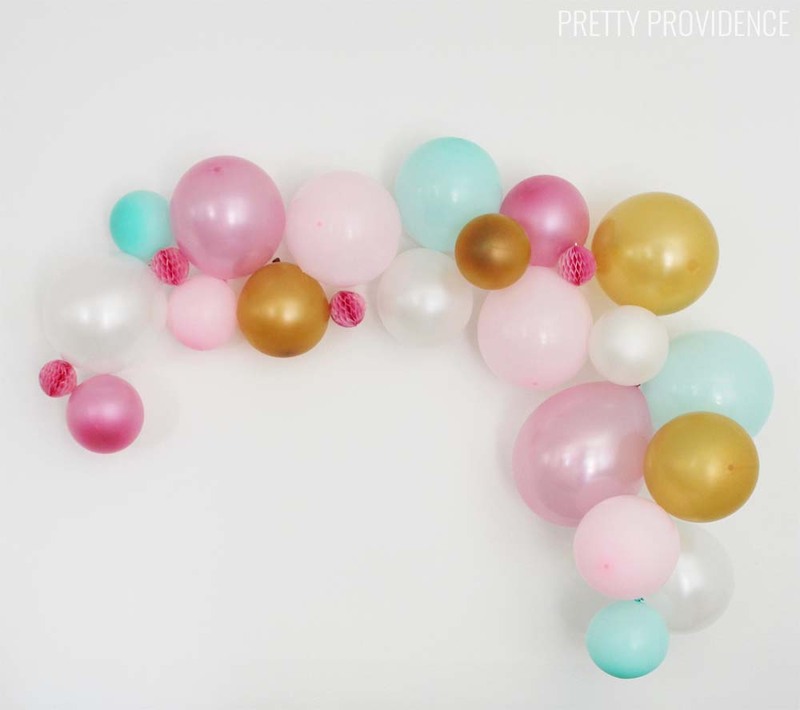 Do not use a normal hot glue gun – it will pop the balloons! Repeat all of this until it’s shaped how you like. 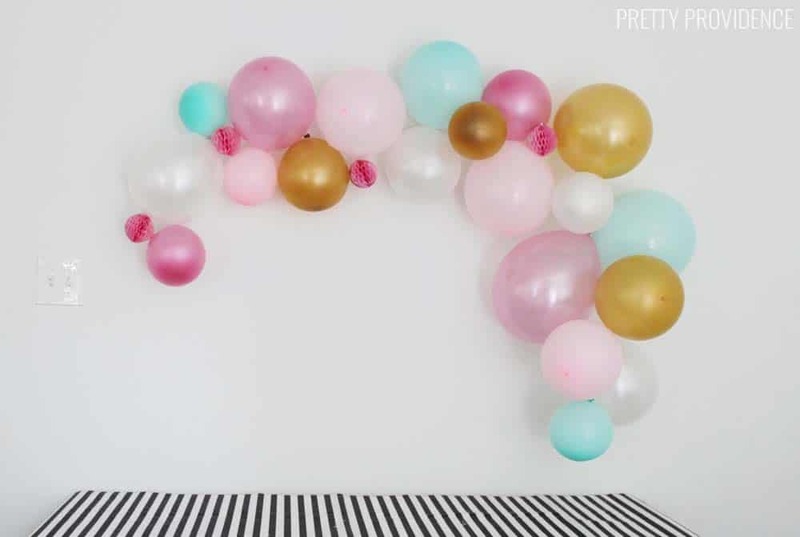 Fill in any blank spaces with small balloons or mini honeycombs. There is no science to this. Use command strips or push pins to hang your garland. Tada! See? It really is so easy. 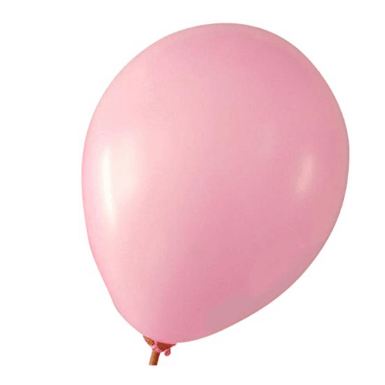 I like to blow balloons up normally and NOT use helium because I don’t need them having a mind of their own. Also, this way it lasts longer. This one was up for about a week and a half! 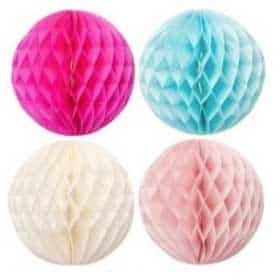 These are perfect for birthdays, showers, weddings, really any occasion. 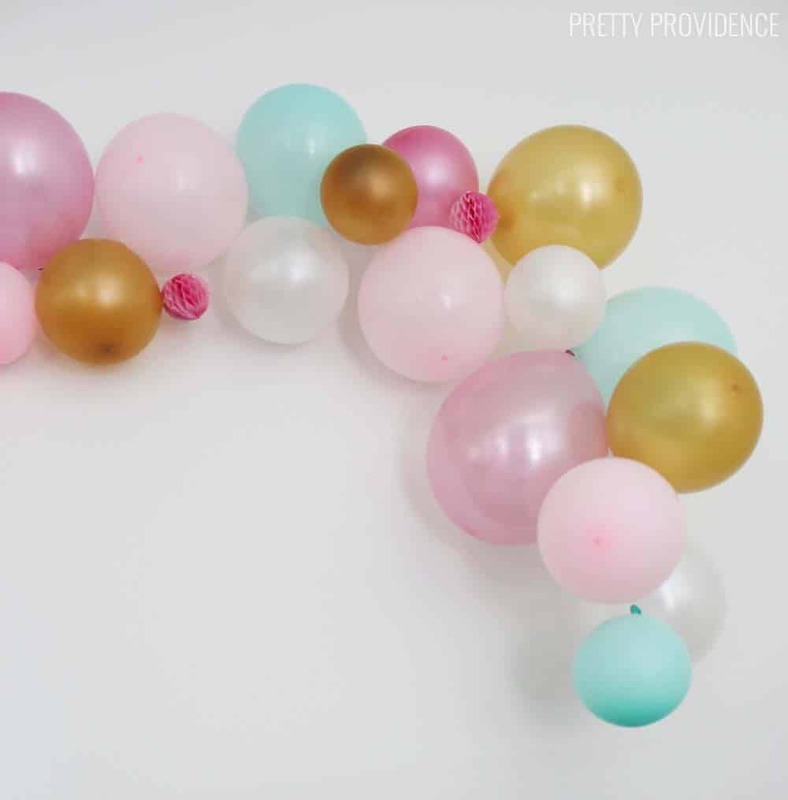 I think you could have fun with adding more embellishments too – like flowers or other types of balloons. Go crazy. I’m a little confused on how you use the glue gun to secure them. 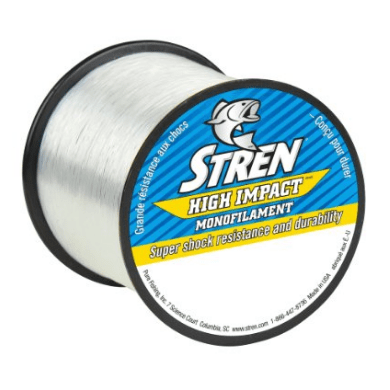 Do you just glue on either side to keep it from moving on the fishing line or what? So excited to try this! 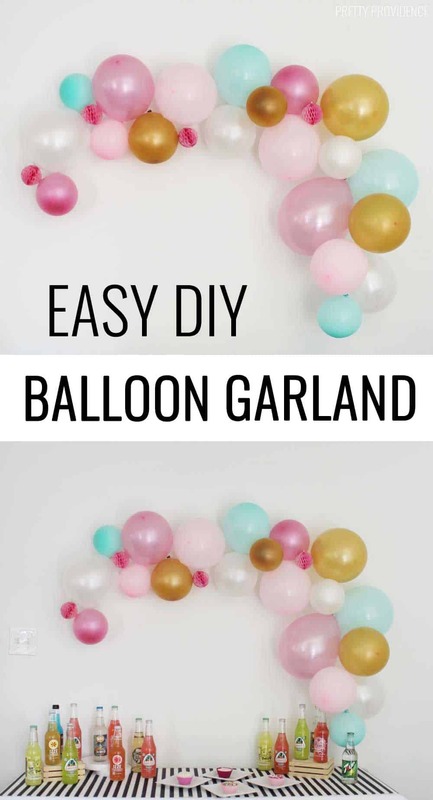 It really helped me to understand how to create the balloon garland. And I used this idea to plan my niece’s birthday party. 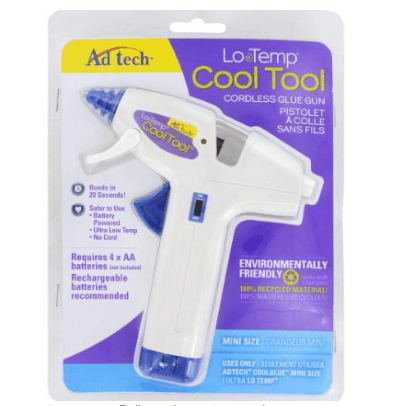 where to buy a low temp glue gun ? 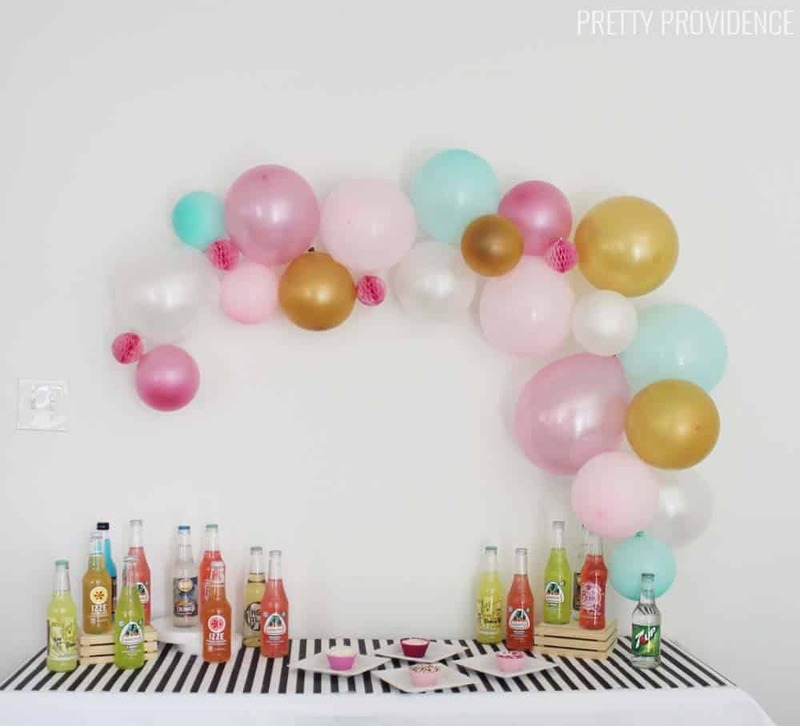 How long does it take to make a balloon garland? Hey friend! It totally depends on how large you want your garland to be- but for the one in our photos it took about 20 minutes, not bad at all! love this! 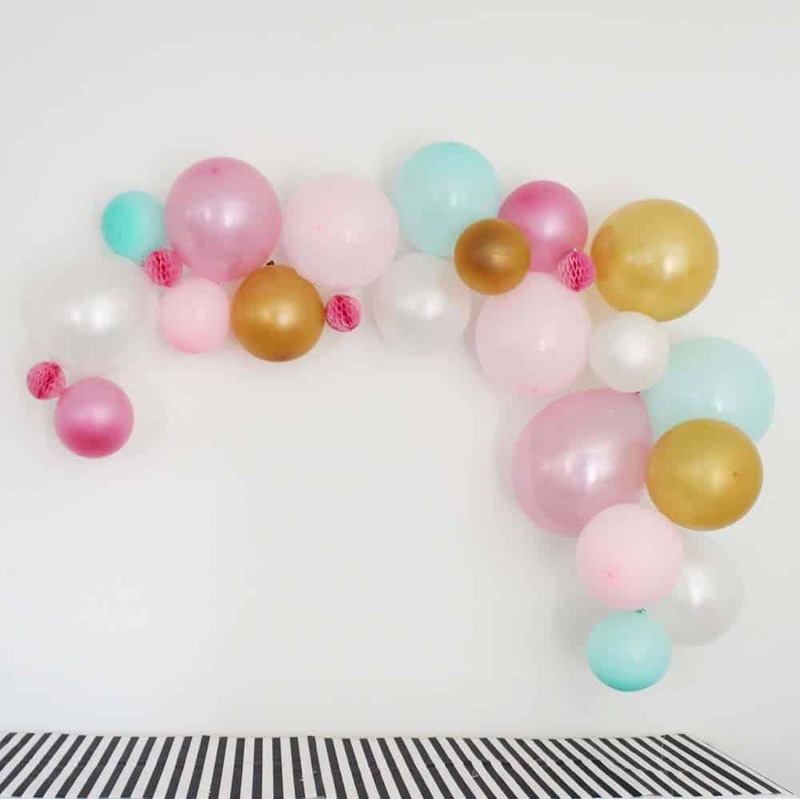 do you think you could use double sided tape to hold the balloons together? It might work?! I’ve never tried it, but if you do let me know! The double-sided tape DIDN’TStick very securely, but I did find that the sticky circles for scrapbooking pictures do work. They can also be put back in their package and reused!